If it's been the "Summer of Serena" on the women's side, it'd be hard to argue against the "Summer of Andy" for the men's tour. If it's been the "Summer of Serena" on the women's side, it'd be hard to argue against the "Summer of Andy" for the men's tour. After a disappointing loss to Roger Federer in the Wimbledon final, Great Britain's Andy Murray has rebounded with a couple of career-changing victories. First, a once-in-a-lifetime opportunity to exact revenge against the Swiss Maestro for an Olympic Gold Medal in his home country. 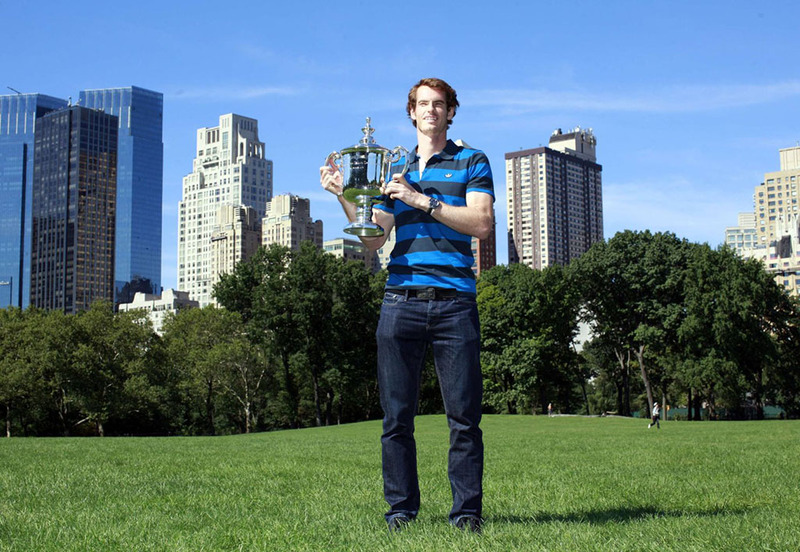 More recently, upending the defending US Open champion to claim his first ever Grand Slam championship. Yesterday, Murray got over the proverbial hurdle, topping Novak Djokovic to finally end his slam drought. As one would expect, "The Joker" didn't make it easy. After Murray swiped the first two sets, Djokovic rallied to take the next two, setting up an intense 5-set (and nearly 5-hour) finish at Arthur Ashe Stadium. No longer crumbling under pressure, Murray thrived. The 25-year old Scot broke Novak twice in the final frame to put a stranglehold on the match. When Djokovic sent a forehand long on the final point, Murray crouched over, mouth covered in disbelief. 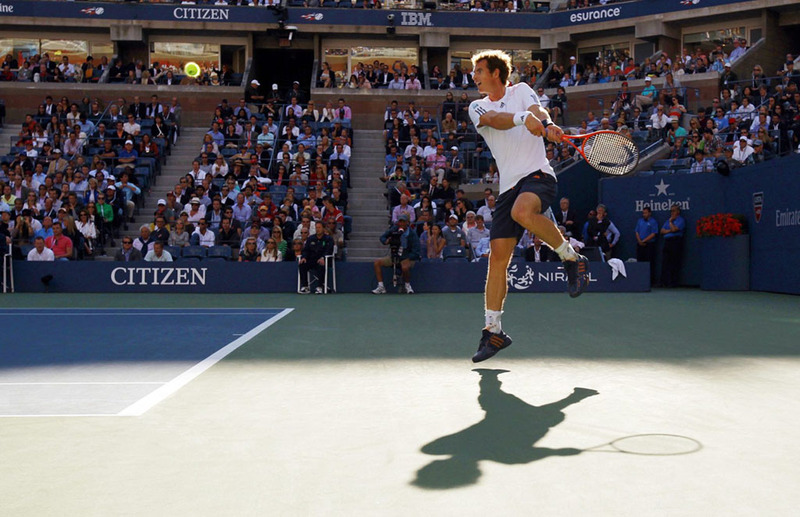 Like he did in London, Andy won the Open in the miCoach-equipped adidas Barricade 7.0. This pair in Urban Sky blue with golden accents is available now at adidas.com. Read on for more photos from Murray's victory.